If you’re looking for a versatile timepiece that can work well with a number of outfits, consider a simple watch with a nylon band and uncomplicated dial –TechnoMarine has just the thing. The Swiss watch brand introduces the MoonSun Nato Collection, a wearable line with an urban style for younger watch patrons. It features a quartz movement and a smooth 40mm stainless steel case with a flame fusion crystal. 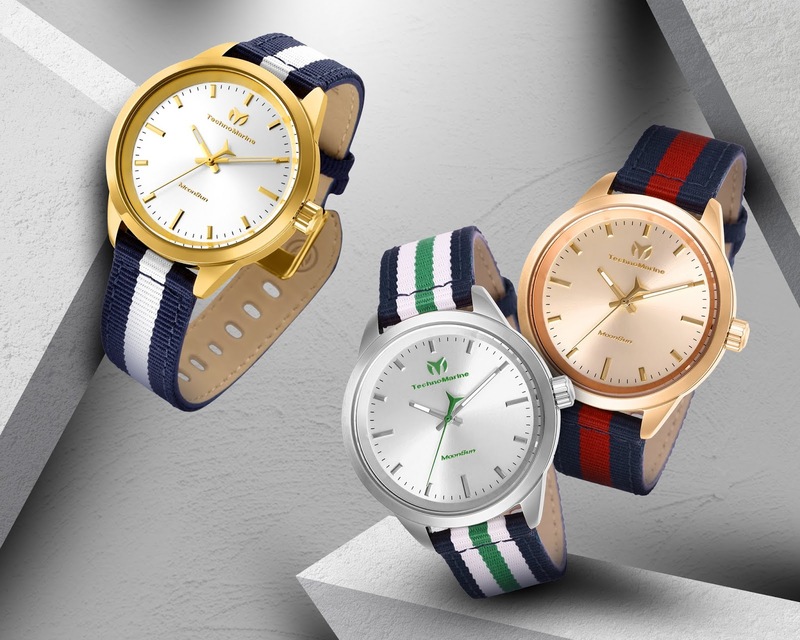 Designed to be a classic, the MoonSun Nato Collection has a vintage look that offers a choice of yellow gold, silver, or rose gold tone dial and case, plus a range of preppy nylon straps for a casual but chic finishing touch. It is suitable for daily use and a smart choice to wear atwork and after-hour activities, for the busy weekdays and relaxed weekends. For an effortless and stylish transition from a bustling full day to a hip evening event, the TechnoMarine MoonSun Nato Collection is the perfect choice. TechnoMarine was founded in Switzerland in 1997. It offers watches that celebrate individuality, freedom and success but are affordable, of high quality and unconventional designs, making them symbols of achievement for people who do not wait for things to happen but create their own opportunities. For more information, visit TechnoMarine stores in Greenbelt 3, Robinsons Galleria, Robinsons Magnolia, Shangri-La Plaza, SM City Cebu, SM Lanang Premier Davao, SM Mall of Asia, SM Megamall, SM North EDSA, TriNoma, and Uptown Mall or visit the brand’s official Facebook page: TechnoMarinePH. THESE FIVE PHOTOS ARE GUARANTEED TO SPARK JOY! Where Can 1 Million GetGo Points Take You? FedRun Is on the Run Again!